What trends did you hate last year? There are so many crimes of fashion I remember with a shudder, and expect they will still be hovering around this year. This is possibly the most impractical crime of fashion ever. How do you make a high heel harder to wear? Make it into a clog. I've seen women around town trying to walk in these and it is quite funny... the clog either flies off their foot or they just hobble along like they're wearing stilts. Heeled clog, you're going in my fashion bin. Ah the skintight maxi dress, the most simple piece of clothing around, and yet looks good on nobody except this model. If you have a slight bump, curve, hint of a hip or post-dinner tummy, this dress acts like a big neon arrow pointing out the fact that you aren't model-skinny. Oh hareem pants, I tried so hard to love you. The concept was fabulous - loose, comfortable trousers which were acceptable to wear outside the house and were spot-on trendy. Alas, I am a pear shape and these babies made me look like a great big-hips lump and I'm a size 8! My deliciously comfortable jersy pair are now my favourite pj's. Super-stylish on the catwalk, yet... but translated into real life this is a crime. Just check out The Fashion Police's entire thread dedicated to sheer dresses, or "shresses" as they have labelled them. Underwear on show is never going to be classy girls, I'm sorry. Rubbery, hideously coloured, full of holes. Just eww. If these ever touch my foot, I will cut it off. They are JUST NASTY! but a denim jacket/shirt plus jeans is just weird! Sorry! Do you have any other crimes to add? Lauren, your blog is totally amazing and this post is no exception. I am proud to say there is not one fashion trend on there i even tried. haha. Makes me feel like im not a fashion victim. I feel bad, I like hareem pants. Don't be angry! I have a pair of the not so low crotch ones ;). Haha oh Emma don't worry! I have a pair too, but now they are just PJs on me. If you can pull them off I am mighty jealous! i love this post! coz honestly i am so attracted to clogs but its true its so hard to walk on them!!! and too much denim hurts my eyes too!!!! oh but hareem pants, i love em! The clogs and crocs in my opinion were the worst. I like the harem pants but never tried them so i will just have to believe you about them ;) Totally agree about the sheer clothing too, some of the models are basically naked! There isn't much point in the clothes really if they're sheer. I agree with you on almost all of them especially the clogs. Eww!!! 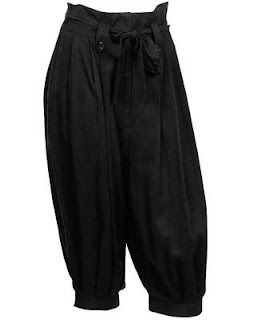 But I think the harem pants are pretty cool if you work it into the right look. I also agree with Jade that sheer is really nice as long as you wear appropriate undergarments. Nothing underneath is kind of scary! I am one of those people who couldn't understand the rage with these crocs. They are hideous! I have to say, your list is spot on! This is hilarious, just imagine what we'll be thinking when we look back on photos from now in 10 years time, we'll all be cringing! have to agree whole heartedly with clogs - shoes made of wood!? just no. The hareem pant - they're like nappy pants and the croc - they're just hideous. i agree with most of these, especially the clogs. theyre wrong on so many levels. I totally agree with you about the crocs! 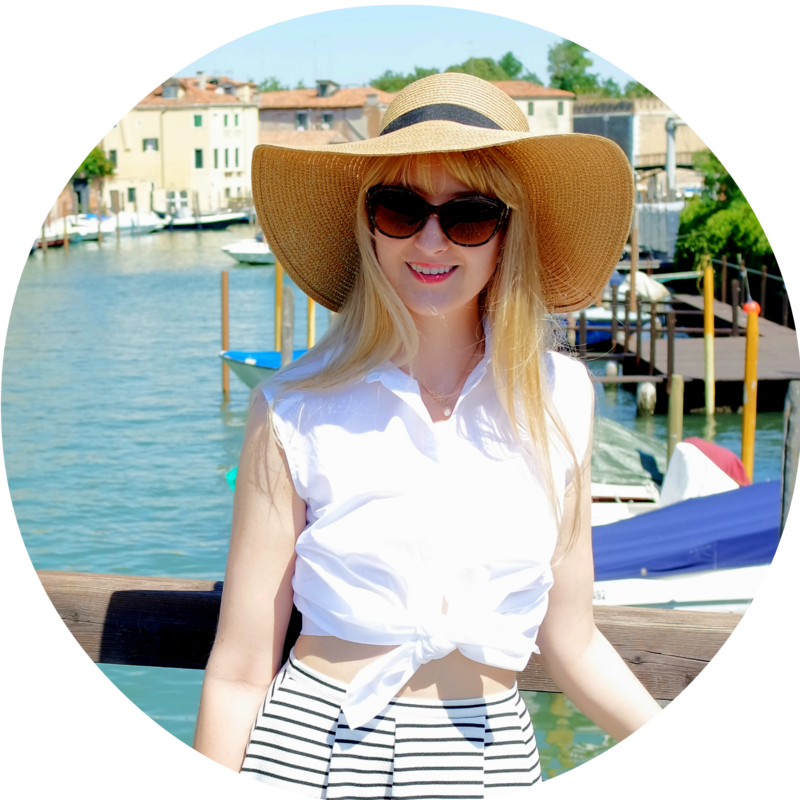 just stumbled across your blog & love it! Totally with you on your hates, I could never pull off harem pants either, I just look like a bloomin' clown! Absolutely hate Crocs too, especially when adults put the charms on them!! sorry to say Lauren but i think sheer is here to stay... what is it about girls who think we all want to see their pant through a see-throu bit of material? lol. btw good spot of the motel dress copy on peluxe blog. Haha! thanks for your comments everyone. You lot make me giggle. I love hareems too girls, but I can't wear them out the house! And as for sheer - sleeves = cool, but boobies out = naff! You took the words right out of my mouth. Unfortunately my mother owns crocs and thinks they're the next best thing since sliced bread. I plan on trashing them. This post made me laugh! I completely agree!